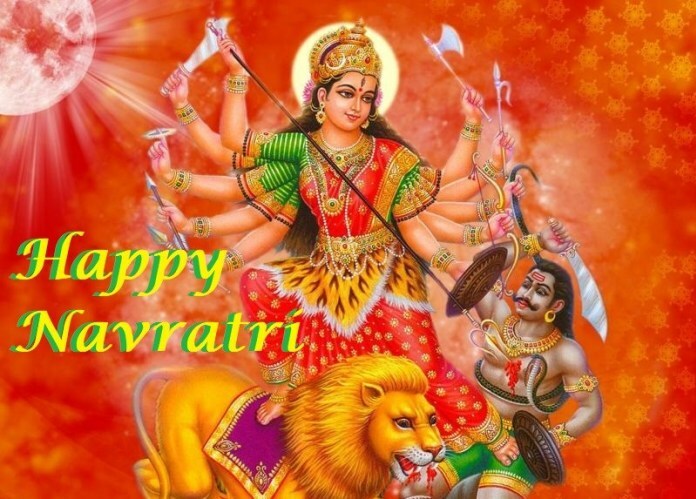 Happy Chaitra Navratri 2019 Wishes, Messages, Quotes in English, Navratri Greetings, Wallpapers & Status for Whatsapp and Facebook: The auspicious festival of Goddess Durga, Chaitra Navratri is widely celebrated in the month of March or April, every year. 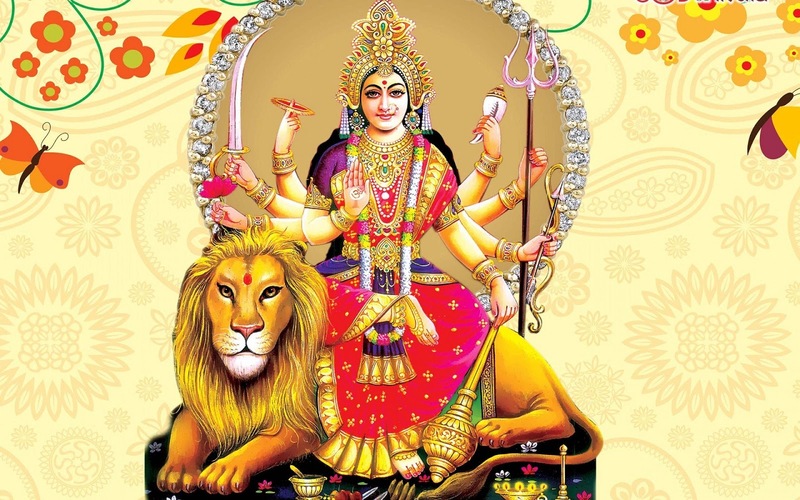 From fasting to offering flowers, milk and holy water to the nine incarnations of Goddess Durga, Chaitra Navratri also observes a traditional way of seeking Maa Durga's special blessings by performing Kajank. 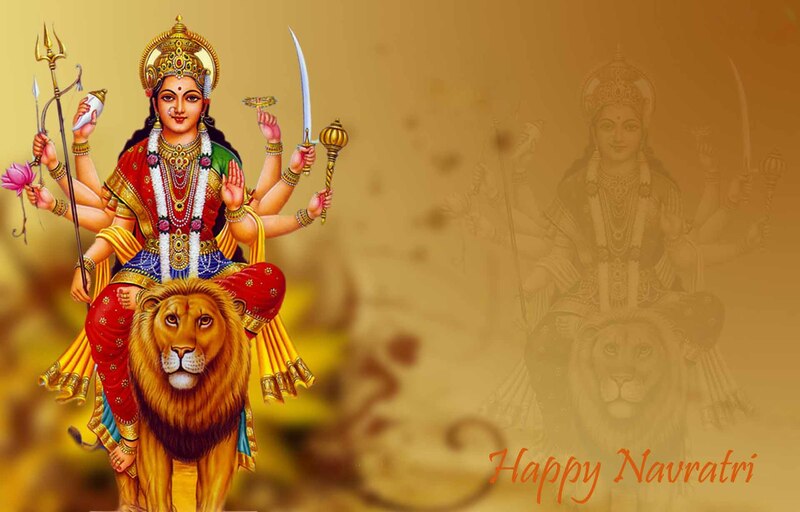 Happy Chaitra Navratri 2019 Wishes, Quotes, and Messages in English: Navratri Wallpapers, Greetings, & Status for Whatsapp and Facebook: Navratri is one of the most celebrated festivals of Hindu religion. The festival which is celebrated five times a year, widely lauds Chaitra Navratri and Sharad Navratri in the months of September – October and March – April. With Chaitra Navratri round the corner, devotees are preparing with the ingredients and other formalities to worship the nine incarnations of Goddess Durga. 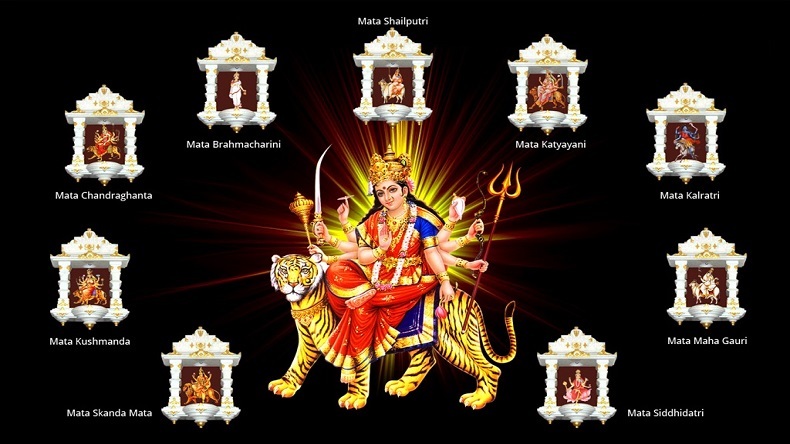 Chaitra Navratri will begin from April 6 and will end by April 14, this year. Worshipers offer flowers, milk, holy water to Goddess, during the Chaitra Navratri week. 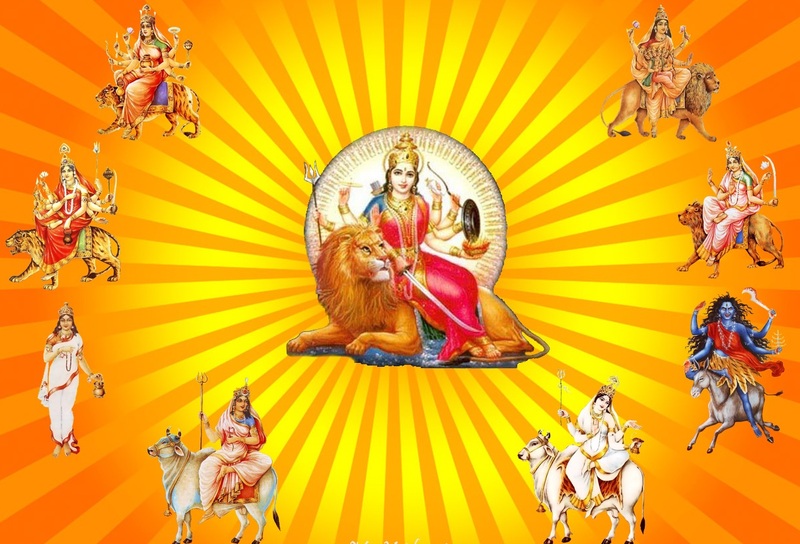 According to the Luni-solar calendar, Chaitra Navratri marks the Hindu New Year. Devotees in Northern India, observe Chaitra Navratri while Maharashtra worshippers laud it as Gudi Padwa while Kashmiri Hindus celebrate it as Navreh. In states like Karnataka, Andhra Pradesh and Telangana, Navratri in the month of March or April is celebrated as Ugadi. From fasting to performing kanjak on the eighth or ninth day of Chaitra Navratri celebration, devotees make sure they are wearing the lucky colour of the day. Wishing all an auspicious Navratri! On This Auspicious Occasion, I Wish The Color, Bliss, And Beauty Of This Festival Be With You Throughout The Year. Happy Chaitra Navratri! Lakshmi ka Hath ho Saraswati ka Sath ho Ganesh ka Niwas ho aur maa Durga ke ashirwad se Aapke Jeevan mai Prakash hi Prakash ho. Happy Chaitra Navratri! Nine nights of festivity With dances and revelry. May this divine occasion bring success to you And embrace victories too. Have a delightful Chaitra Navratri! May Maa Durga empower you and your family with her Nine Swaroopa of Name, Fame, Health, Wealth, Happiness, Humanity, Education, Bhakti & Shakti. HAPPY CHAITRA NAVRATRI! 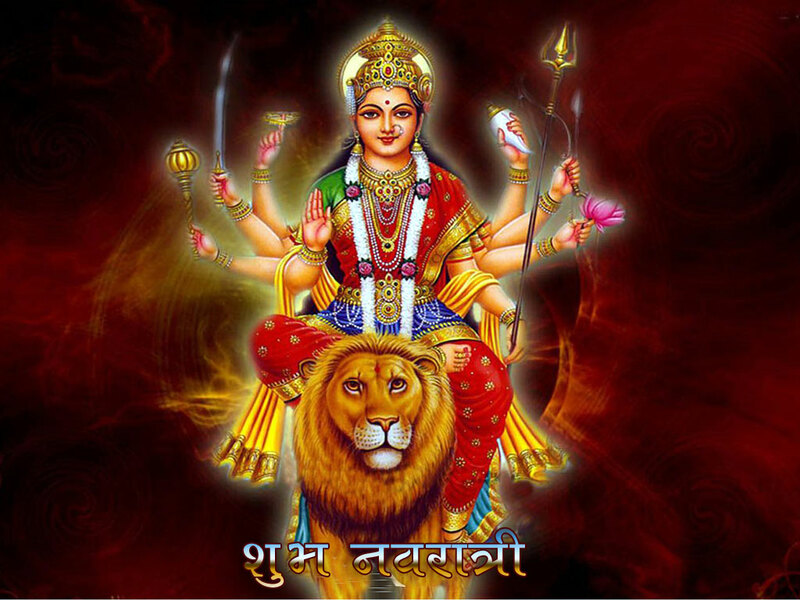 Sending my warm wishes for a Happy Chaitra Navratri! May the day bring you good fortune and success. May Maa Durga bless you today and forever.